Parc Jean-Drapeau is situated in the middle of St. Lawrence River. It spreads across two islands: Île Notre-Dame and Île Ste-Hélène. The tourist booklet reckons the best way to get around the island is by bicycle. Since I don’t cycle, I took the Metro to Jean-Drapeau station and used the traditional method of getting around, by foot. 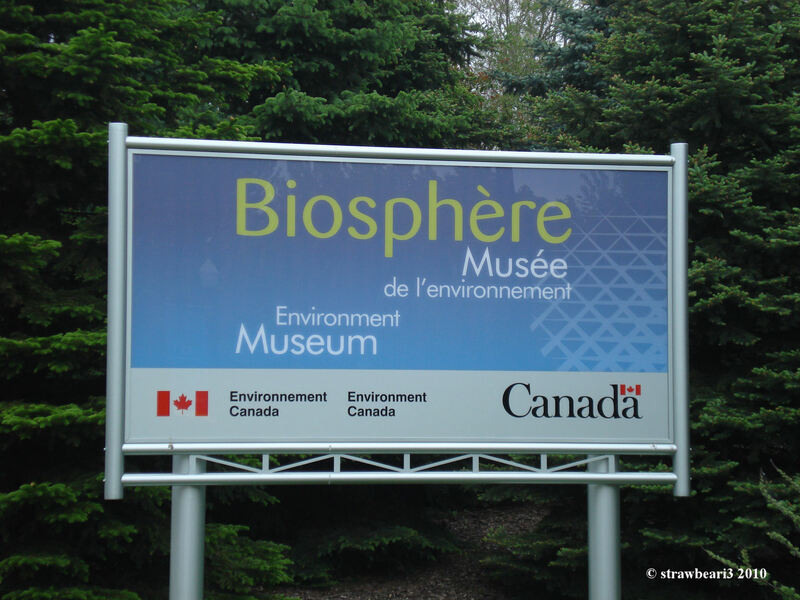 The main attraction is the Biosphère Environment Museum. 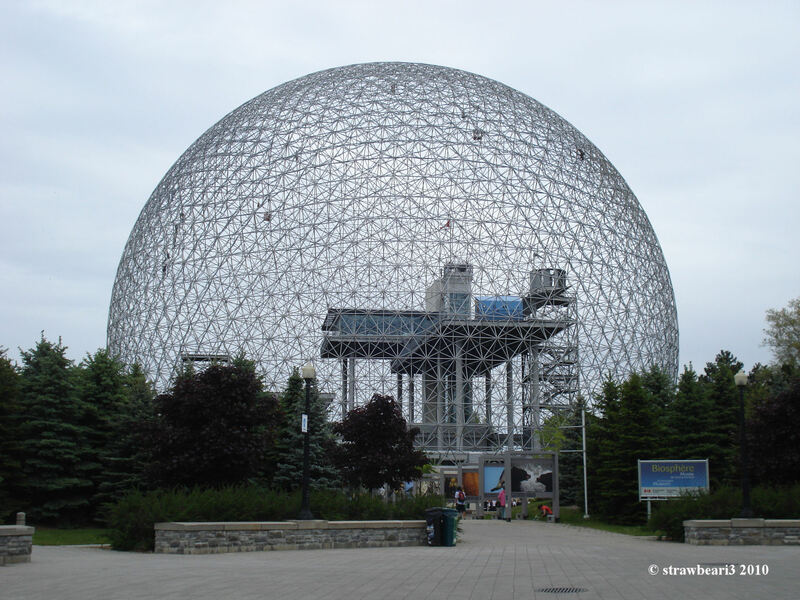 Its spherical dome is a former US pavilion in the ’67 World’s Fair. As you can tell by the name, the main focus of this museum is environment, primarily water. I did not bother paying $10 to get in. So all I have is a picture of the exterior. 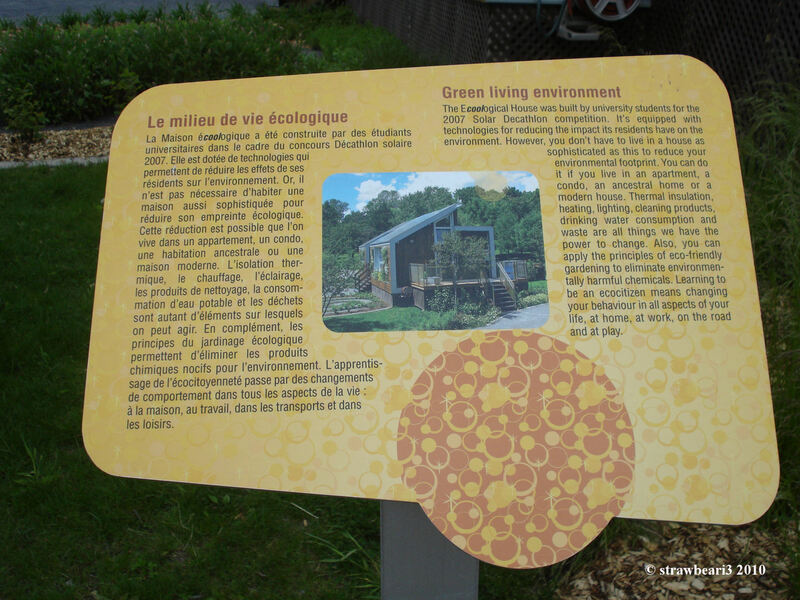 Right beside the Biosphère stood the Ecoological House. 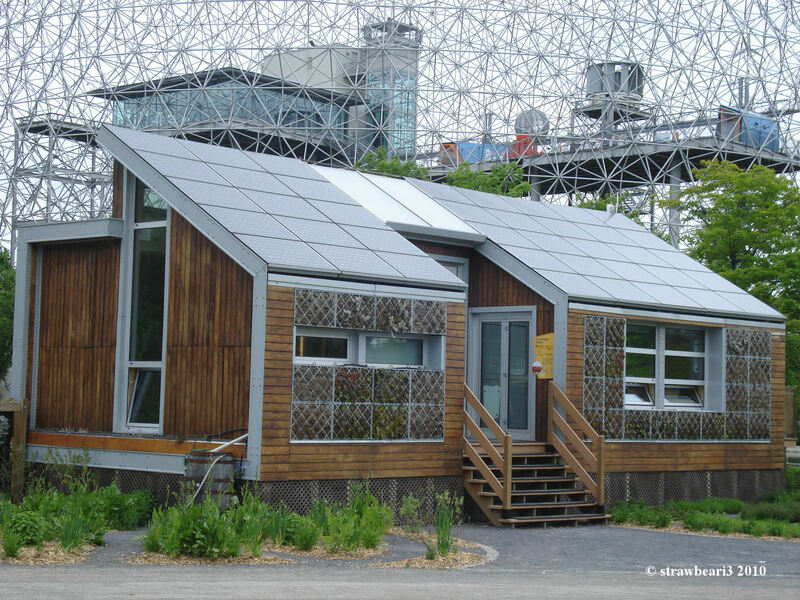 It was built by several university students for the 2007 Solar Decathlon competition. 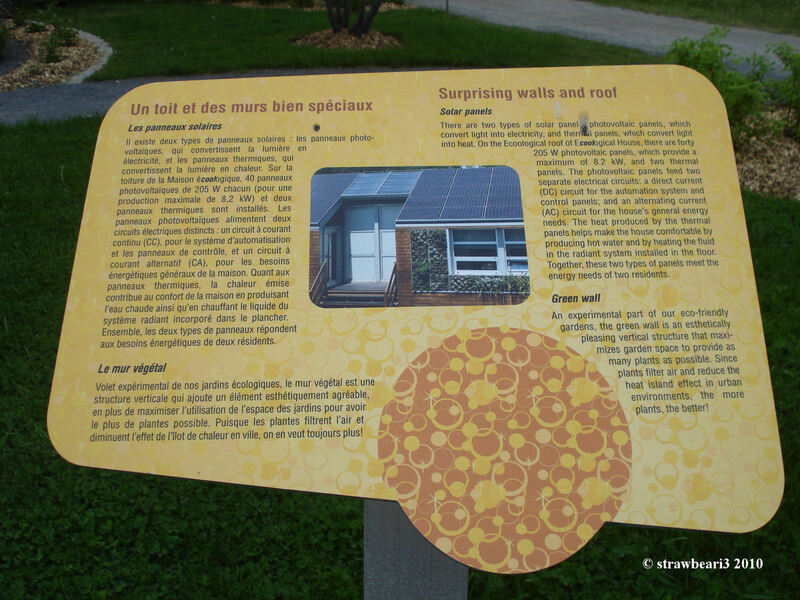 The 2 main elements of the house are the solar panels and the green wall. The solar panels consists of photovoltaic panels which converts light into electricity and thermal panels which converts light into heat. The green wall is a vertical structure of a garden, which is purposed for maximizing the garden space. Brilliant idea! The other parts of the island such as the Musée Stewart (Stewart Museum) and La Ronde Amusement Park are only opened late May / early June. I should have picked this up from the travel booklet to save walking a few hundred kms. There is a bus service from Île Ste-Hélène, right outside the Metro station to Casino De Montréal (Quèbec’s largest) in Île Notre-Dame. A major part outside the casino is under construction, so I did not manage to get a good picture. 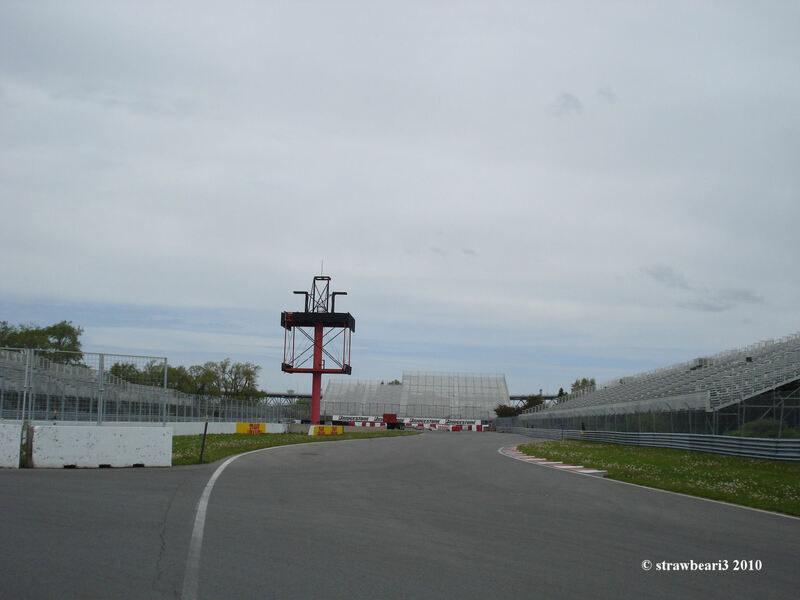 A Formula One racetrack can also be found in Île Notre-Dame. It is used by cyclists and in-line skaters during non-racing season.